Order in 12 Hours 50 minutes 49 seconds for dispatch today! Velour leather and mesh uppers with waterproof and breathable Gore-Tex XCR lining. Meindl Contagrip Trail sole unit for optimum grip and protection. Cupped heel stabiliser and toe protector. 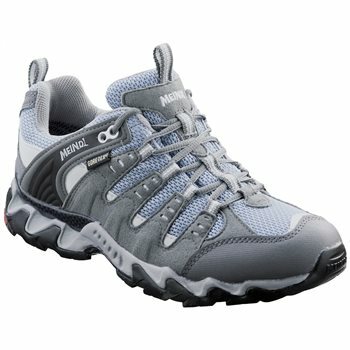 Although initially expensive, Meindl walking shoes will last way longer than any ‘cheaper’ alternative. My Mum used to say, “buy cheap, pay dear”. She was right. Invest in Meindls. They are comfy, waterproof and sturdy. You will not be disappointed. Service from Jacksons was quick, efficient and to be recommended. Have worn Meindl shoes for many years. They are so comfortable for walking and would not change them for any other make. These feel very robust, sizing feels try to generous. I like Meindls as I have wider feet. I have not done any long walks in them yet, but so far so good - love the colour!